If you want to enjoy iTunes music on Archos devices, you may encounter problems when you try to do this. And you may feel bother after you fail to listen to iTunes music on Archos devices. In order to cope with this issue, many people will seek the solutions on the Internet. If you are lucky to read this tutorial, you can refer to the detailed contents in this guidance to help you to make it. Part 1: What is Archos? Before you begin to solve how to play iTunes music on Archos devices, first you can know some information on Archos. 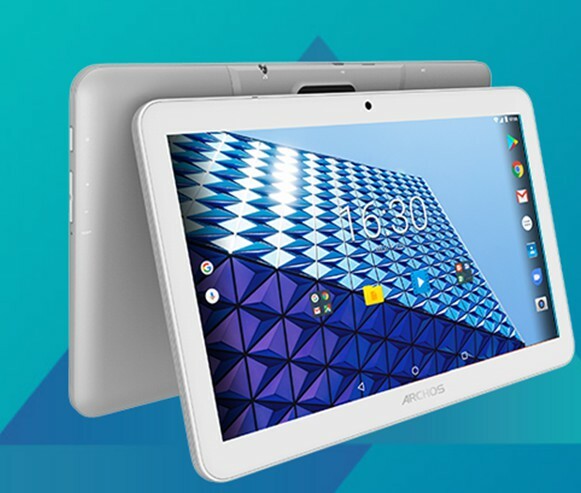 Archos is a French company that produces tablets, smartphones, portable media players and portable data storage devices, whose current slogan is “Entertainment your way”. The products of this company are diverse and you can see them almost all around the world. Its tablet computers can use the Google Android and Microsoft Windows system, which enables users to take advantage of them more conveniently. Archos devices support video and audio file formats including AVI, 3GP, WMV, MP4, MP3, WMA, WAV, FLAC, AAC, OGG, and APE. However, iTunes songs are saved in M4P file format. The format incompatibility has blocked you from playing iTunes music on Archos devices firstly. Meanwhile, we know that some iTunes music files are protected with DRM protection, FairPlay by Apple company. The DRM protection enables you to play back iTunes music on Apple devices like iOS devices (iPhone, iPad and iPod), iTunes and QuickTime player only. You can’t play back DRM protected iTunes music on other devices without removing the DRM protection. But there are solutions to this issue. Below we would show you how to play iTunes M4P music on Archos by different means. In order to solve how to listen to iTunes music on Archos devices, first you should know that iTunes M4P music has the DRM protection and Archos devices does not support the M4P format. 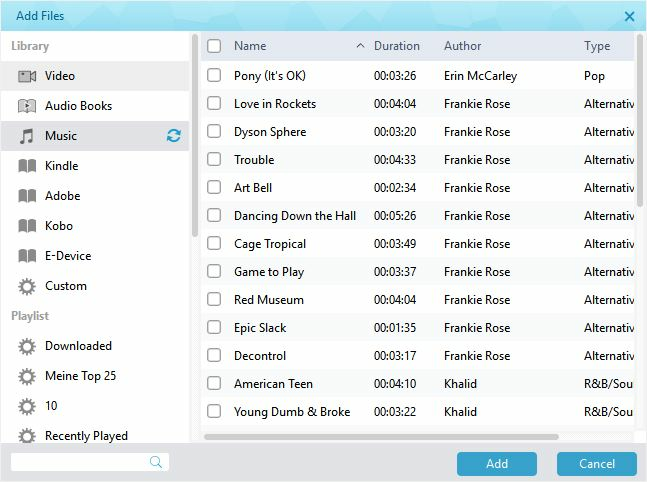 Therefore, you can make use of a professional DRM removal software to remove DRM from iTunes M4P music and convert iTunes M4P music song to MP3 to achieve your aim. When it comes to solving this problem, Leawo Prof. DRM is strongly suggested for you to employ. It can help you to remove DRM from any iTunes media content, such as videos (movie, TV show), audio books, and music. It can also convert them to DRM-free MP4/MP3. The output file quality can be retained without any compromising. The high efficiency and powerful functions have won the praises of lots of users in the world market. It is seen as a one-stop solution for removing DRM and converting formats at the same time. Now let’s have a look at how to remove DRM from iTunes M4P music and convert iTunes M4P music song to MP3 with Leawo Prof. DRM. The first thing you need to do is download and install this software on your computer. Step 1: Add iTunes M4P music to the software. Click the button of “Add Files” on the toolbar to add iTunes M4P music to the software. You should know that you are able to add a bunch of songs at a time. You can also use the “Clear” button to remove the file that have been added by mistake. Step 2: Set parameters for the output music files. Find the editing button to click on to set the parameters of the output files in detail, such as the channel, bit rate, and sampling rate. At the bottom of the interface, you need to choose a location on your computer to store the converted music files. Step 4: Remove DRM from iTunes music and convert M4P to MP3. At the bottom right of the window, find the “Convert” button to click on to begin to remove DRM from iTunes M4P music and convert iTunes M4P music song to MP3 at the same time. You can see the process clearly on a green percentage bar. When the conversion comes to an end, you need to tap the “Converted” tab to check the converted music files. 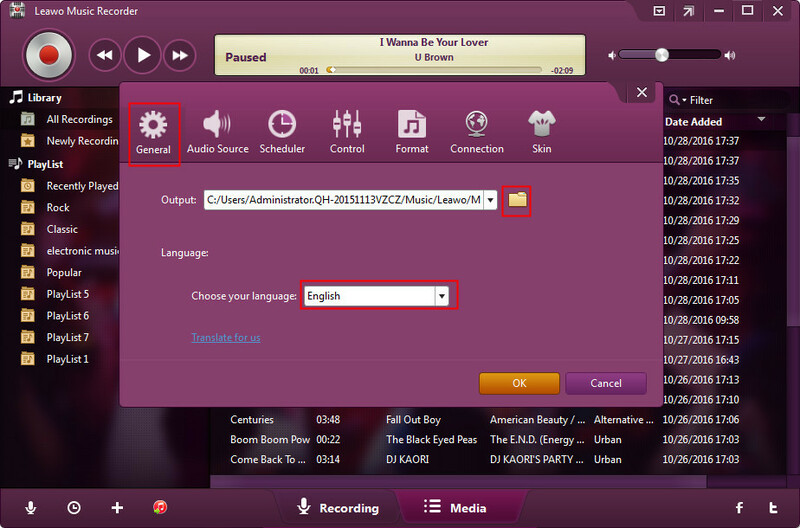 Click the option of “Open file” to open the output MP3 music file. You can also take advantage of the searching bar to locate your target file quickly. After converting with Leawo Prof. DRM, you could then freely transfer the converted iTunes music to Archos devices for unlimited listening. Actually, with Leawo Prof. DRM, you could do far more than single iTunes DRM music conversion. Leawo Prof. DRM is a comprehensive DRM removal and converter program that could perform as iTunes DRM video converter, iTunes DRM music converter, iTunes DRM audiobook converter, Audible audiobook converter, eBook converter and Spotify music downloader. It could help you remove DRM protection and convert iTunes DRM M4V video to DRM-free MP4 video, convert iTunes DRM music to DRM-free MP3 audio files, convert iTunes/Audible DRM audiobooks to DRM-free MP3 file, convert eBooks from Kindle, Kobo and Adobe Digital Edition, and download Spotify music freely. It helps you do more things other competitive could do. Therefore, Leawo Prof. DRM is the best software for you to remove DRM from iTunes M4P music and convert iTunes M4P music song to MP3. Besides using Leawo Prof. DRM to convert iTunes DRM M4P music for Archos playback, you could also use another tool from Leawo Software to play iTunes music on Archos devices. That’s Leawo Music Recorder, an easy-to-use audio recorder that could record any computer and built-in audio and then save into MP3 or WAV files as you like. 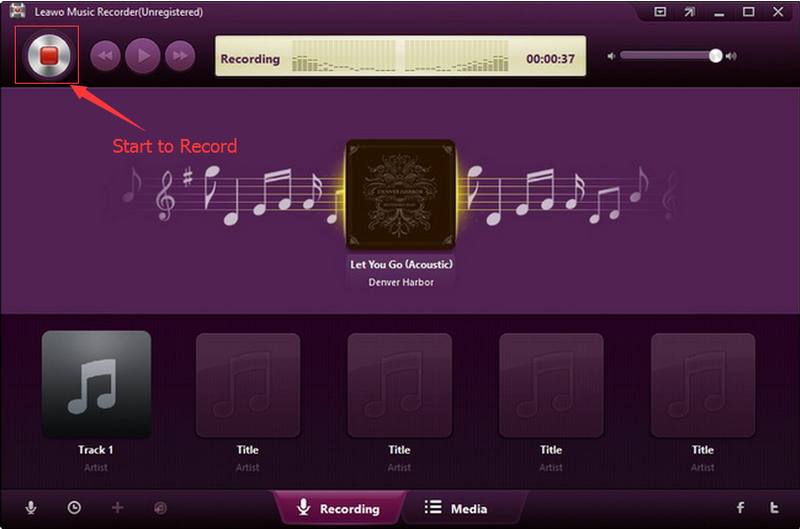 As an online audio recorder, Leawo Music Recorder could record and download online audio to MP3 file in simple clicks. Acting as a computer audio recorder, Leawo Music Recorder could record iTunes music to MP3 or WAV file so that you could freely listen to iTunes music on non-Apple devices or players. 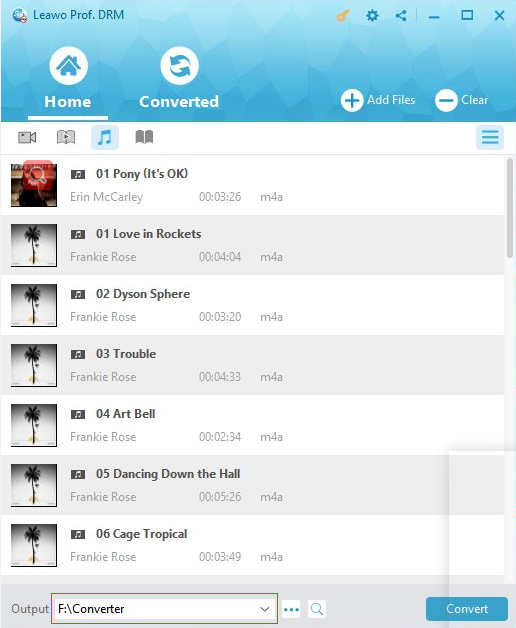 Different from Leawo Prof. DRM, Leawo Music Recorder could help you automatically download and add music tags like artist, album, cover, etc. Download and install Leawo Music Recorder on your computer. Follow the below steps to learn how to convert iTunes M4P music to Archos accepted MP3 or WAV audio files via recording. On the main interface, click the tiny microphone icon and then choose “Record Computer Audio” option on the “Audio Source” window to record music from iTunes. 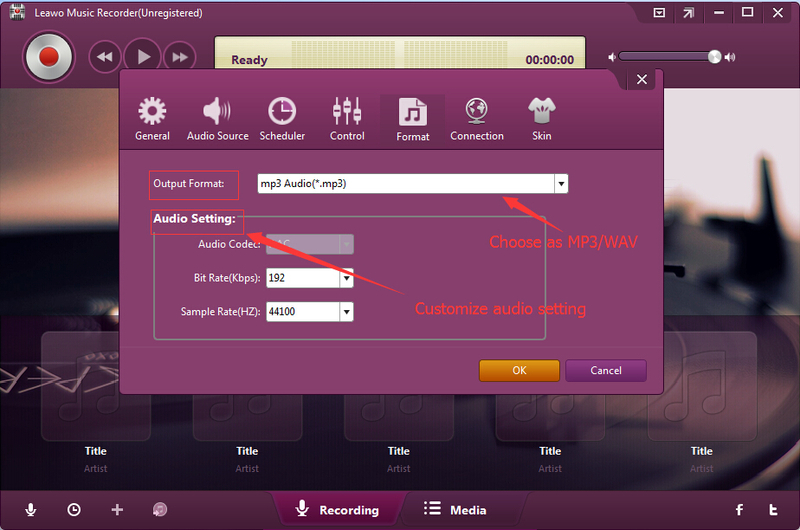 Thirdly, open the “Format” tab to choose output format from MP3 audio and WAV audio. Adjust the audio bit rate and sample rate of selected audio format according to specific Archos device. Return to the main interface and then click the red "Start" button. Then, play back iTunes music on your iTunes. This music recorder software would start to record iTunes music automatically. You could view the recording process. When the music finishes, click the red button again to stop recording. Leawo Music Recorder could perform as an excellent online audio recorder to help you record and download online sound with ease, as well as built-in audio recorder to record any sound out of your computer. If you are using a Mac computer, you could turn to Leawo Music Recorder for Mac. After you have completed the process to remove DRM from iTunes M4P music and convert iTunes M4P music song to MP3, you need to transfer iTunes music to Archos to enjoy the songs at ease. As for how to make it, you can refer to the detailed introductions shown below. 1. Use a proper USB cable to connect Archos device to your computer and then enable the hard drive mode. 2. After that, you can locate the folder that contains the converted iTunes music. Copy and paste the music files to your Archos storage folder to enable you to listen to iTunes music on Archos devices. After you read this guidance, you will have some knowledge on what is Archos and how to play iTunes music on Archos devices with the help of Leawo TunesCopy Ultimate. With the assistance of it, you can play iTunes music on Archos devices easily. If you want to convert iTunes videos or iTunes audiobooks to Archos devices, you can also make use of Leawo TunesCopy Ultimate to solve your problem. In the end, you will obtain the files with the original quality after the conversion and then you are able to enjoy iTunes music on Archos devices happily. All in all, I hope this tutorial can solve your problem smoothly.